Last month (11/2017) Hendrickson Publishers came out with a five-volume series “Keep Up Your Biblical Languages in 2 Minutes a Day” by Jonathan G. Kline, Ph.D. 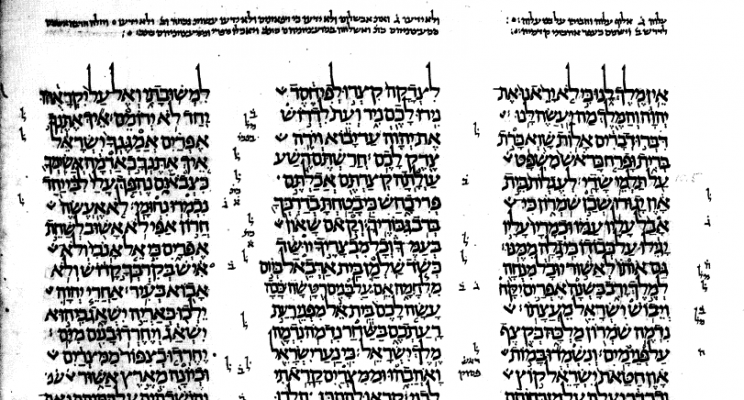 The two Biblical Hebrew volumes and the (single) Biblical Aramaic volume use the Biblical text found in the Westminster Leningrad Codex (WLC) maintained by the Groves Center. The Groves Center is pleased to announce that Stephen Coleman, Ph.D., has been appointed as a Senior Research Fellow of the Groves Center, effective 1 July 2017. Dr. Coleman is also an Assistant Professor of Old Testament at Westminster Theological Seminary. July 10, 2017 – Two and a half months after hard drive failures, the Groves Center web site is back. UPDATE: The initial content was from a snapshot from 3-4 years ago, but as of late August, we have brought the content back up to date. The “fascicle” (or partial book) for Genesis in the scholarly project Biblia Hebraica Quinta was released in February 2016 in Europe. The estimate for the release date of Leviticus is now 2017 (or more likely 2018). The Job fascicle is now expected to be published in late 2017 or early 2018. Our recent access to color images of the Leningrad Codex, as opposed to the black-and-white images available for years, will allow us to determine a more accurate reading in a few places in the Leningrad Codex. We have already found at least two occurrences where what is clearly a pink or red imperfection in the codex material was misread as an ink dot when viewed in the black-and-white printed facsimile of the Leningrad Codex. Both Accordance and BibleWorks, two major Bible software vendors who offer the Westminster Hebrew Morphology database, now have color images of the Leningrad Codex, the 1,000+ year old manuscript that is the basis for the Westminster Leningrad Codex, as well as for the standard scholarly Hebrew Bibles (Biblia Hebraica Stuttgartensia and the under-development Biblia Hebraica Quinta). The German Bible Society’s web page shows a schedule for the upcoming fascicles of Genesis (2016) (released), Job, Leviticus, and Ezekiel. Hendrickson’s Publishers and the German Bible Society have released “Biblia Hebraica Stuttgartensia: A Reader’s Edition”. This Hebrew Bible with has footnotes for all of the infrequently occurring words in the text and provides English glosses and parsing information for those rare words. In late January 2016 the Groves Center released version 4.20 of both the Westminster Leningrad Codex (WLC) and the Westminster Hebrew Morphology (WHM or “MORPH”). On January 2, 2016, the board of the Groves Center appointed Mr. Stephen Salisbury as Executive Director of the G.C. in addition to his role as Research Fellow. This follows the November 2015 retirement of the G.C.’s President and Senior Research Fellow Kirk E. Lowery, Ph.D.
A ninth volume of “The Dictionary of Classical Hebrew”, edited by David J. A. Clines, has been announced. This new volume is an extensive index to the existing eight volumes. The Groves Center’s President and Senior Research Fellow, Kirk E. Lowery, Ph.D., retired from the Groves Center as of November 1st, 2015. The board of the Groves Center wishes to publicly thank Prof. Lowery for his 17 years of service to the Groves Center. The eight-volume reference work “The Dictionary of Classical Hebrew”,edited by David J. A. Clines and published by Sheffield Academic Press Ltd. in Sheffield, England, was completed in 2011. 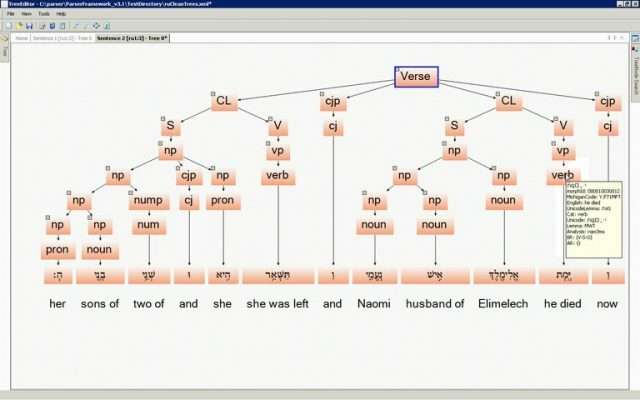 Its articles include occurrences of the word being defined with prepositions, in construct chains, and in apposition with other nouns, all of which can be helpful to us in improving the parsing information in the Westminster Hebrew Morphology.